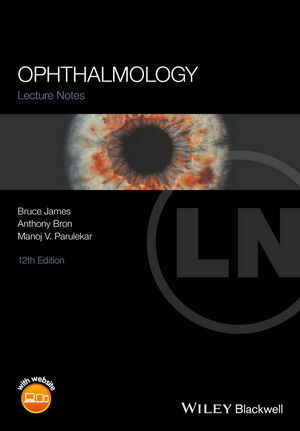 Ophthalmology Lecture Notes is perfect for developing knowledge for clinical practice or revision in the run-up to examinations, and uses a systematic approach to provide medical students and junior doctors with all the tools they need to manage clinical situations. It is also useful for optometrists in training, helping them develop a sound understanding of clinical ophthalmology. Anthony Bron, Professor Emeritus, Nuffield Laboratory of Ophthalmology, John Radcliffe Hospital, Oxford, UK. Manoj V Parulekar, Consultant Ophthalmic Surgeon, Department of Ophthalmology, Birmingham Children's Hospital, Birmingham, UK.